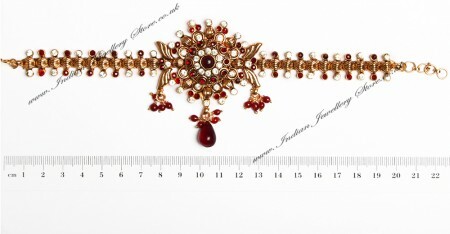 Bajuband (Indian arm jewellery) in 22k gold plated with black antique and maroon red. Set with diamante crystal and polki stones. 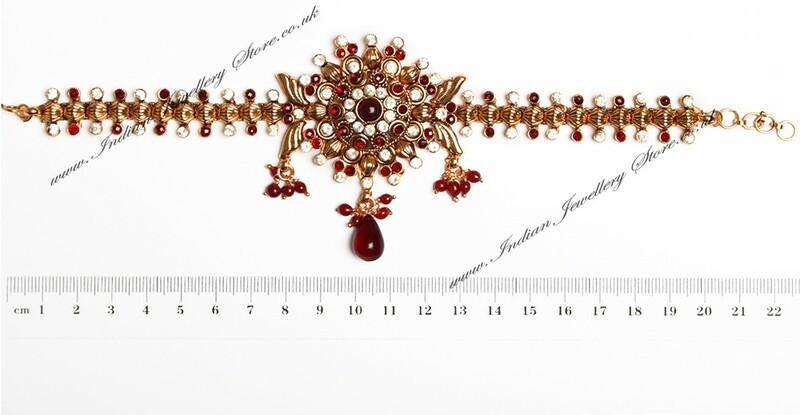 Indian Jewellery Store can size this bajuband free of charge, simply purchase your jewellery and email us your IJS order number alog with the required min/max length. Free custom sizing will add 1 working day to delivery. Scale shown in image is in cm.